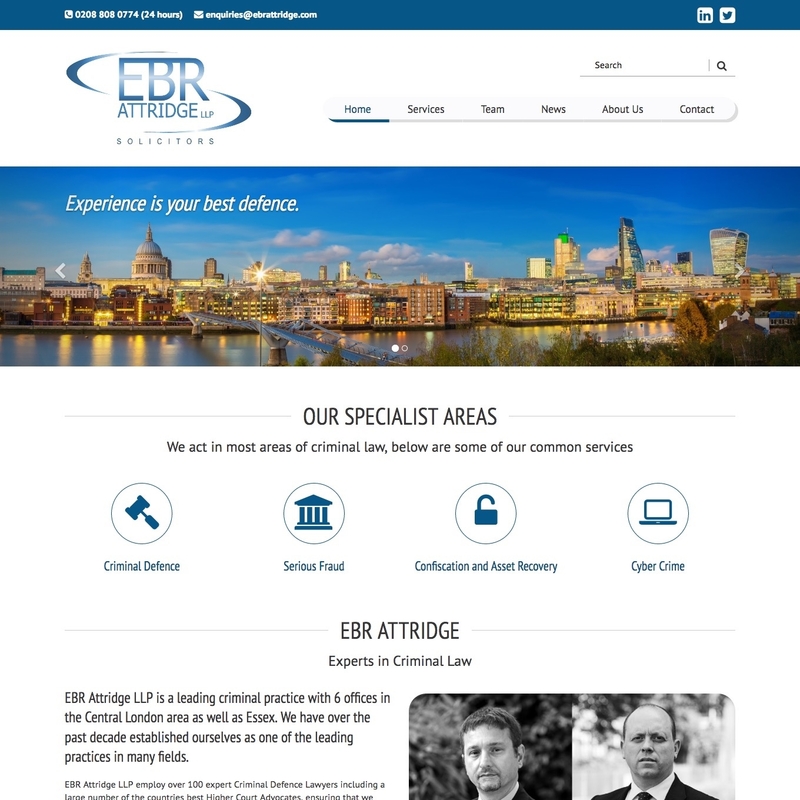 Webbed Feet UK have developed a brand new London solicitor website for EBR Attridge LLP, specialists in criminal defence. 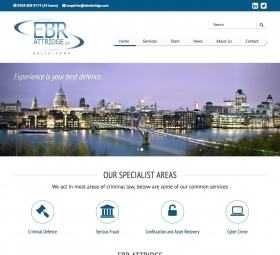 The new website is a complete rebuild and features a custom design to fulfil EBR's needs. 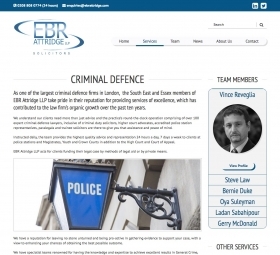 EBR's previous website was not up to par, and was looking a little dated. 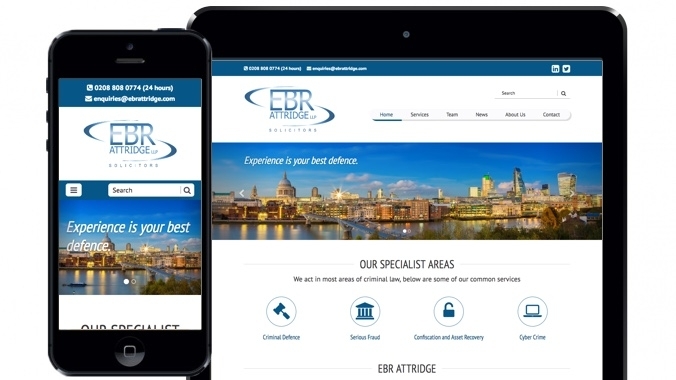 The old site was a little light on information for such a large and professional firm, so the main requirement of the new site was to increase breadth of information available to clients. 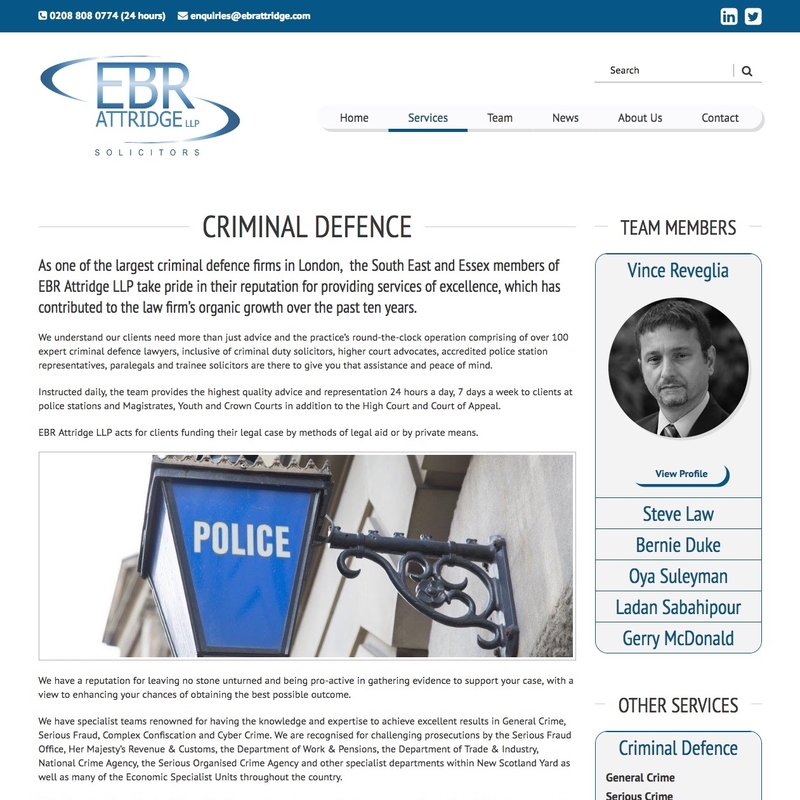 The first thing we did was to specify a system that would not only contain a greater number of pages, but would allow the information to be organised in a manageable, logical format. 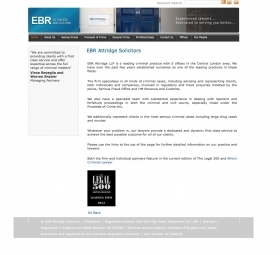 To achieve this we developed a content management system that links various elements of the site together. 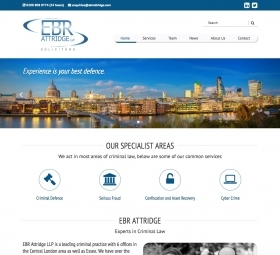 For example, a page describing a particular service automatically links to relevant news articles and case studies published elsewhere on the site. 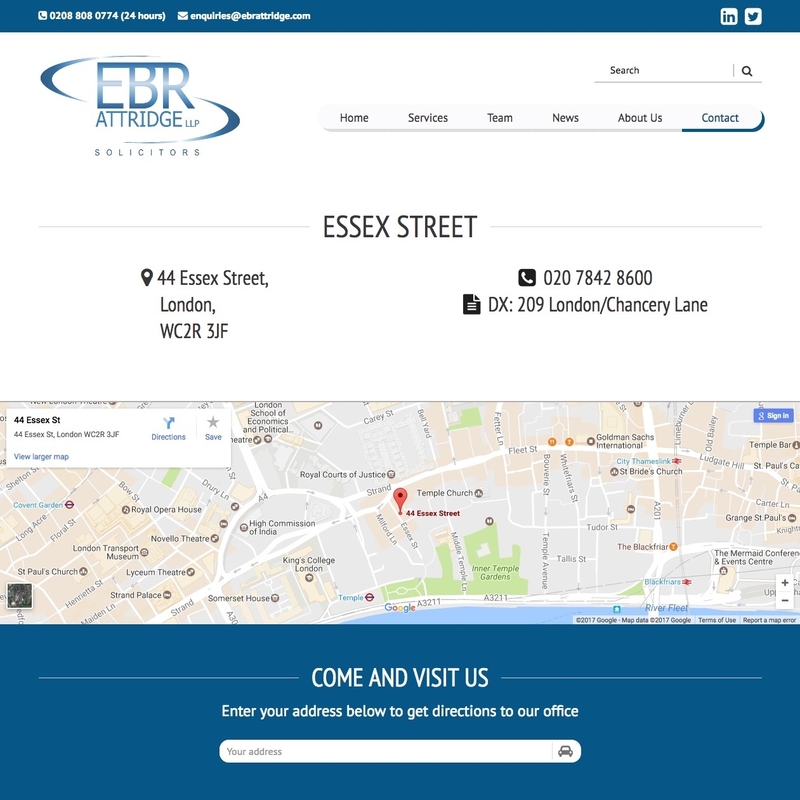 The most important part of any website is to achieve the business owner's goals, in this case by encouraging the audience to get in touch with EBR Attridge. 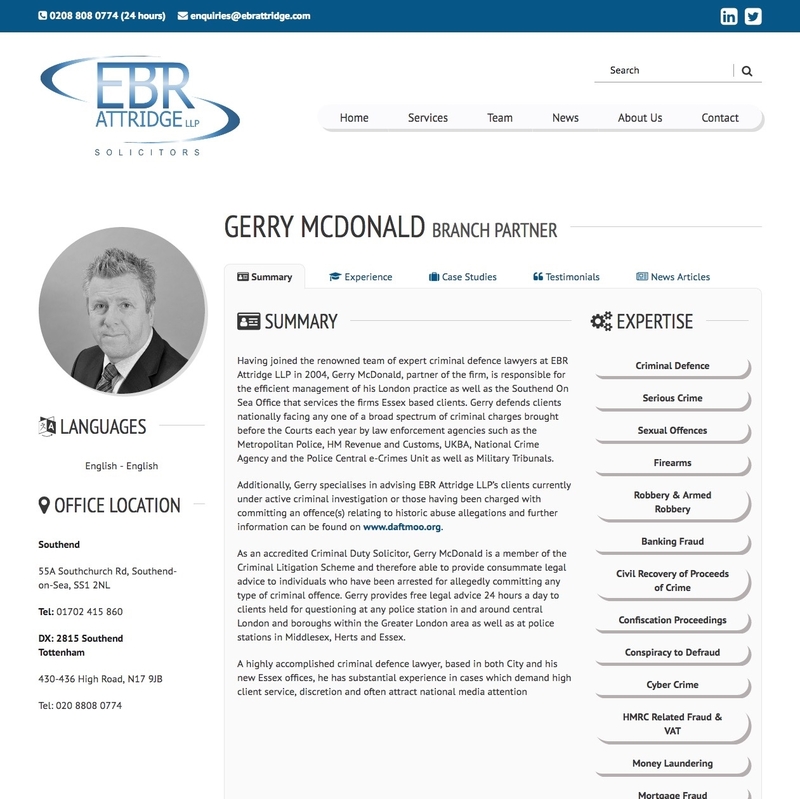 To this end, we developed a system that would allow every team member of EBR Attridge to have their own profile page with details such as past experience, case-studies, testimonials and contact details. 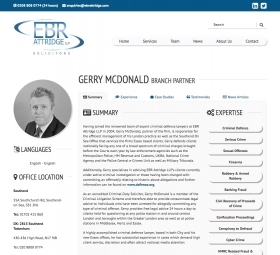 These profiles are then automatically linked to relevant places on the site. For example, a user can be reading about a particular service and immediately see a list of real people who can help them in that area. 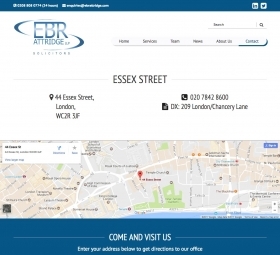 Contact details are easily accessible, which only makes it easier for viewers to contact EBR. This all adds-up to a much better experience for the visitor, which makes the new site much more effective overall. 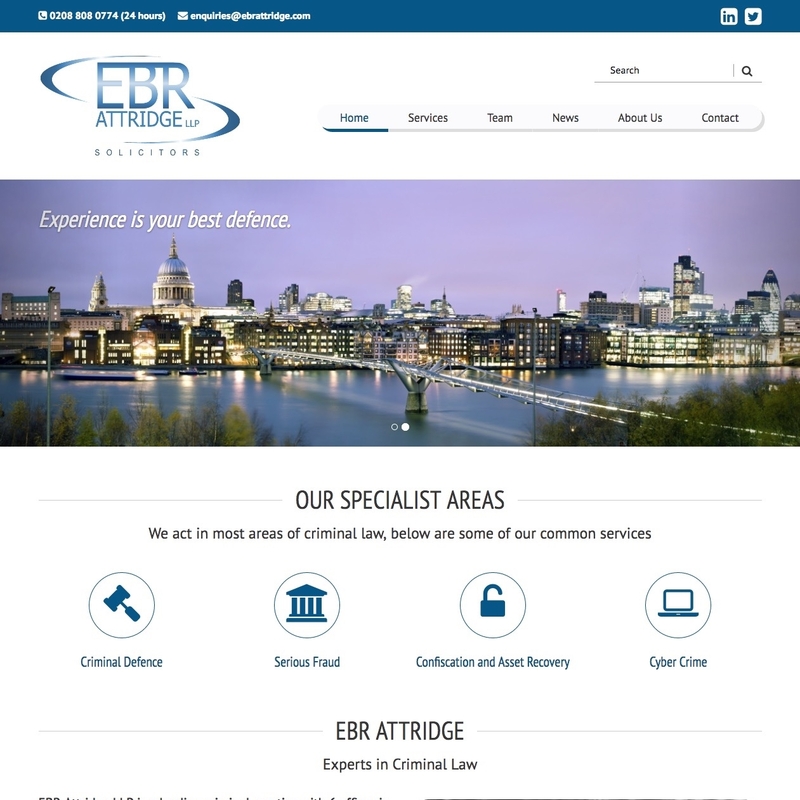 At Webbed Feet UK we have leveraged our custom web development skills to create a more effective solicitor website for EBR Attridge LLP. 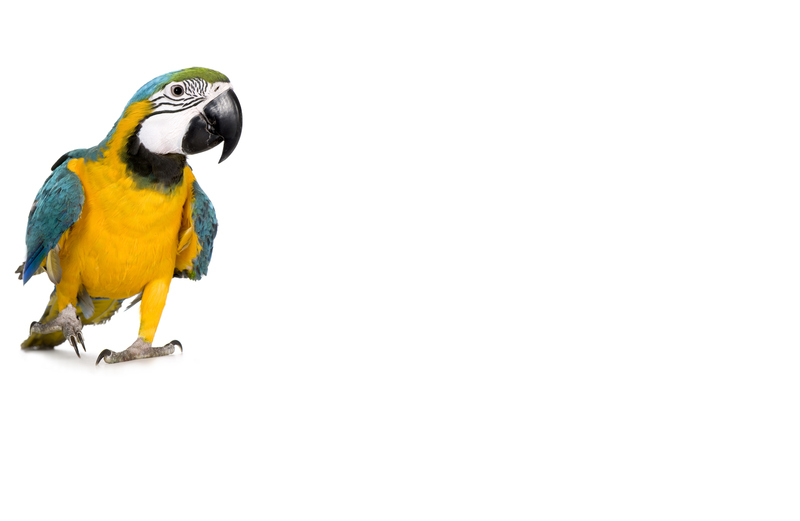 If you are interested in a website with a built with our powerful CMS, then contact Webbed Feet UK today.